Garfield is a comic strip created by Jim Davis. 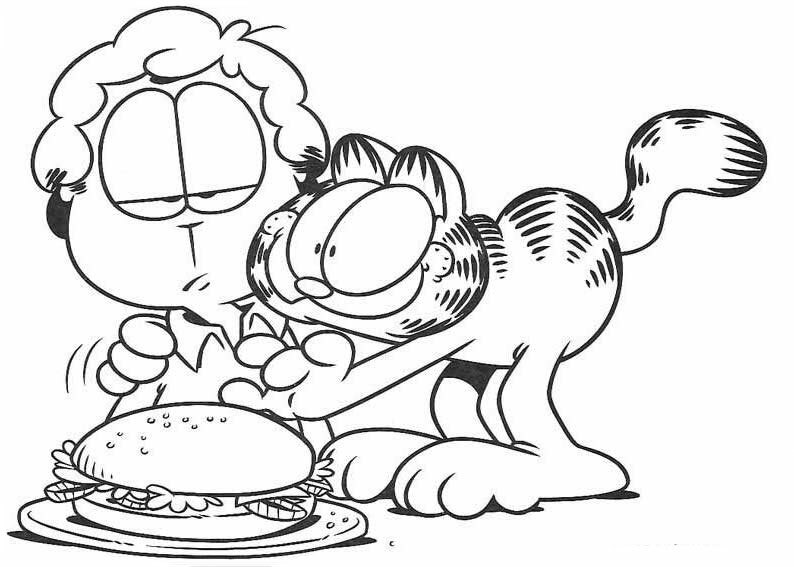 Garfield was born June 19, 1978, in the kitchen of Mamma Leoni's Italian Restaurant and loved Lasagna the day he was born. Ever since then, it has always been his favorite food. According to his grandfather, he was born five pounds six ounces (2.4 kg). (He was out of town at the time, and when Garfield asks how, his grandfather said he heard the scream), surprisingly enough, he managed to fit in a tiny bed. Later in his life, Garfield accidentally runs across his mother again one Christmas Eve, and meets his other grandfather for the first time. On June 18, 1978, when Jon came to the store, he had to choose between Garfield, an iguana, and a pet rock. 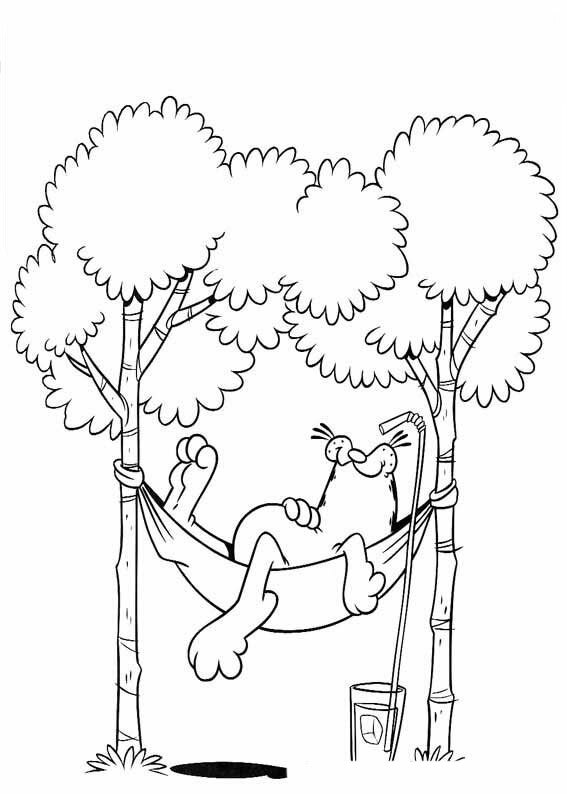 In his cartoon appearances, Garfield usually causes mischief in every episode. In June 1983, comic strips introduced Amoeba Man, one of Garfield's alter-egos, yet he was only shown in six strips (June 20–25). In February 2010, another alter ego was introduced called Super Garfield, and his sidekick Odieboy (Odie). Amoeba Man, and Super Garfield are only two of his few imaginary alter egos though, his most common one being the Caped Avenger. And for a very short period of time, Garfield would fall prey to various dogs e.g. Bungee Dog, Warm up dog etc. which would squish him in any direction. It is also given that Garfield uses the "sandbox" on occasion, such as in one 1978 strip, he says he hates commercials because they're too short for a trip to the sandbox. It was revealed on October 27, 1979, that he doesn’t like raisins. 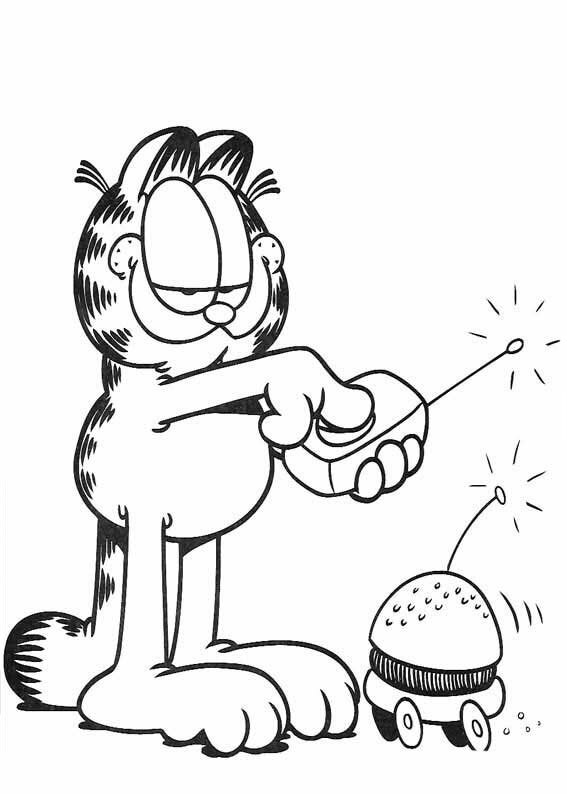 His birthday is June 19, 1978, the day the first Garfield strip was published.Interestingly, on Garfield's 25th anniversary in 2003, several strips were featured with him interacting with the version of him from 1978. Garfield frequently gets into many adventures, such as getting stuck in roll-up shades, sparring with mice, and getting locked up in animal shelters. 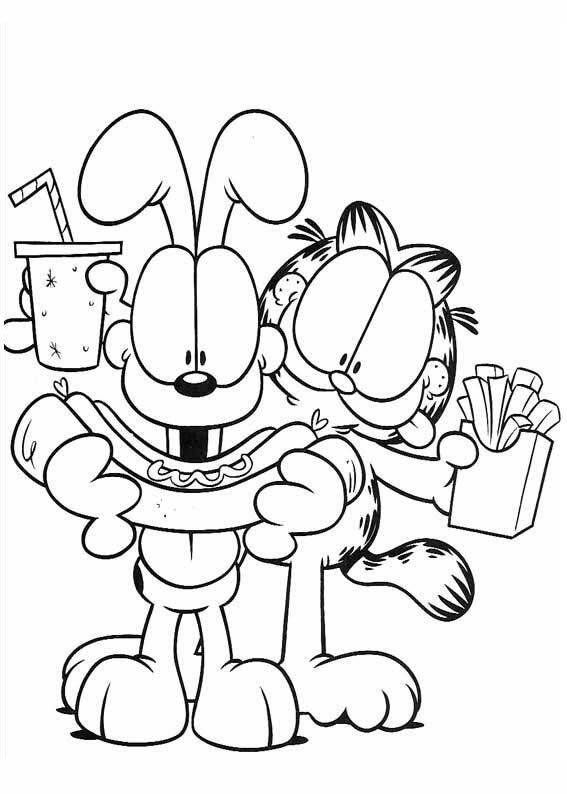 In 2005, Garfield and Jon appeared in several comic strips of Blondie in honor of their 75th anniversary. Garfield got excited because he didn't have to think. There was an earlier Blondie crossover on the Garfield strip published April 1, 1997. 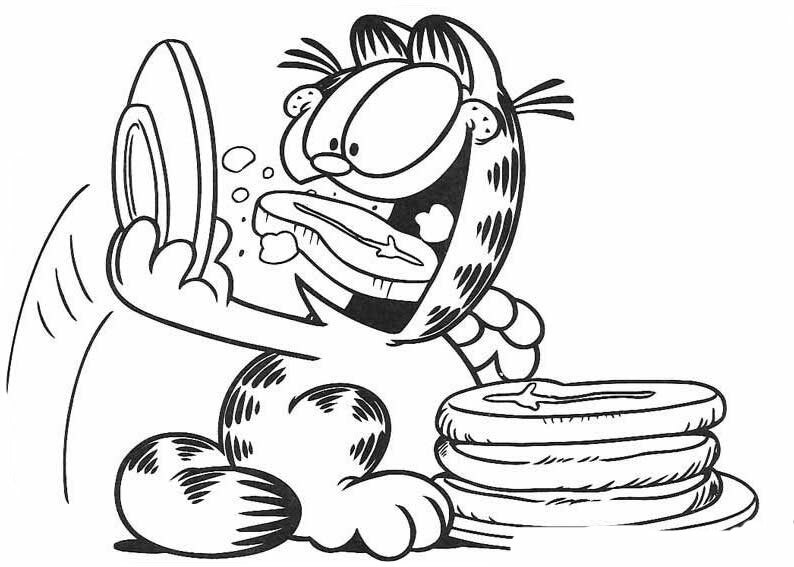 Garfield was one of the cartoon characters featured in Cartoon All-Stars to the Rescue, although he was the only character to be used without the permission of his creator.